The White House spokesman Josh Earnest said on Thursday that Iran will only see sanctions relief if it complies with all the requirements of JCPOA, the nuclear deal with world powers. 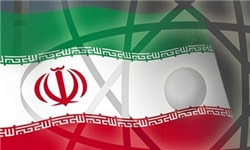 The comments came hours after Iran’s Supreme Leader Ayatollah Ali Khamenei warned that Iran would only suspend its nuclear activities if sanctions were not lifted completely. JCPOA says sanctions relief kicks in as Iran dismantles and redesigns parts of its program, and not just suspending them. On Wednesday, Secretary of State John Kerry said Iran will be required to live up to the agreement in full before it starts benefitting from sanctions relief.